Great-granddaughter of Max Broock, who opened the doors of Max Broock Realtors in 1895, Kathy Broock is carrying on the Max Broock brand as a fourth-generation licensed real estate professional. Her lifelong passion and commitment to success have propelled her to become Michigan’s #1 Realtor, an expert in luxury and lakefront properties within Birmingham, Bloomfield and Oakland County. She leads the industry with successfully closing over $113 million in sales volume, is recognized as one of the State’s savviest, experienced, influential Realtors, and ranks in the top 1% of Realtors across the Nation. Her career in real estate began when she was just twelve years old, answering phones and assisting agents in the Birmingham, Michigan office. It wasn’t long before she realized that helping people find and sell homes is what she wanted to do. At a young age she learned how to engage with industry professionals and the importance of every single phone call. She developed an interest in business, finance and economic trends. She also became fascinated with land development and home sales. By watching and listening to her father and grandfather, she learned the art of negotiation. Today, Kathy is known as the best negotiator in the State of Michigan. 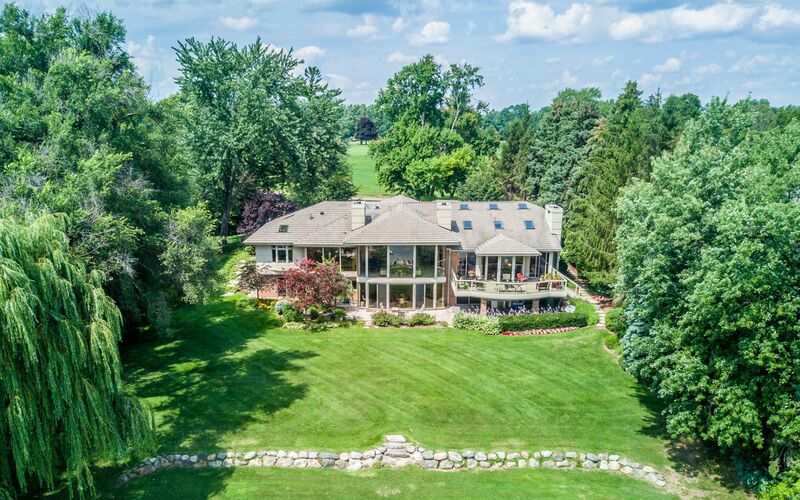 With over 30 years of Michigan real estate experience and a specialization in luxury lakefront properties, Kathy’s past and present shapes her relatability to clients and gives her market knowledge that cannot be matched. One of her favorite places growing up was her family’s summer cottage on Orchard Lake. Kathy and her husband now live in their own home on Orchard Lake with their three daughters. Living on the water enables her to raise her children with an added appreciation for the outdoors and the ever-changing balance between home life, personal relationships, and of course, work. Being an expert in lakefront real estate who understands and embraces the lakefront lifestyle herself, Kathy’s perspective stands out in the midst of so much sameness. Kathy Broock knows Birmingham, the Bloomfields and Oakland County better than anyone. Growing up here, living here and now raising her own family here, she has witnessed the population migrate throughout and around the state. It’s a life experience not many of her peers have had, and it gives her a broader base of knowledge to work from, allowing her to better serve her clients. Kathy’s local roots combined with the added benefits of being a legacy give her a professional edge. She is able to draw upon generations of expertise: negotiating, pricing, finding the right home and understanding financing. But Kathy’s success comes from far more than just a family name and reputation. She goes above and beyond with her service, can easily relate to her clients’ needs, is passionate about her work and puts tremendous amounts of time and effort into her craft. Committed to making the communities in which she was born and raised a stronger, better place, Kathy values her personal involvement with philanthropy work and music. Whether it was that her great, great, great aunt was Clara Barton, or that her grandfather, Fred Broock, went out of his way to orchestrate elaborate barber shop quartets for what he called the, “Broock Family Singers,” music and philanthropy are in her heart. Kathy’s passions grew, opening up opportunities such as founding and co-chairing, “Sing Out 4 Kids,” a karaoke event benefiting Children’s Charities Coalition. A firm supporter of lifting up and empowering other women, Kathy created and launched, “Erin Go Bra(gh),” a giving event that benefits Alternatives for Girls. The St. Patrick’s Day event provides support and resources to women caught up in the shelter system that are trying to build better lives for themselves. Kathy’s commitment to supporting the local communities and charity organizations not only strengthens the neighborhoods by helping those in need, it keeps her in touch with other industry leaders and trends that can affect the real estate market.